In a heavy bottom sauce pan (preferable nonstick), bring the water, butter, sugar, pumpkin spice and salt to a brisk boil. Immediately add in the flour and whisk until it's completely incorporated. Keep stirring over the heat, but keep it at a low/medium. Remove as much moisture as possible for a fluffier pastry later on. I did this for about 3 - 4 minutes. Then, transfer the dough to the bowl of an electric mixer. Use the paddle attachment to stir the dough for a minute to quickly cool down the dough. Turn the speed to medium and add one egg at a time. Don't add the next egg until the first one is completely mixed. Repeat the process with the remaining egg. Add one egg white and blend until the dough becomes smooth and glossy, if it's not getting smooth and glossy, add the other egg white. If it starts to become glossy with just 1 egg white, don't add the second. Transfer dough to a large pastry bag with a large star tip. Preheat your oil to 370 degrees in a deep saucepan. Cut about 16 3x3 squares out of parchment paper. Spray each square (one side) with butter nonstick spray. Pipe a ring of dough onto each square. Place cruller and paper into hot oil. The paper will automatically separate from the oil, and the cruller will float on the hot oil, bubbling away. Flip cruller once, and fry until light brown (about 2-3 minutes). Cool on a wire rack. Combine all the honey glaze ingredients in a medium bowl and whisk until smooth. When crullers are cold to the touch, dip each top half of the doughnut into the glaze. Let glaze harden with a cookie sheet under the wire rack to catch the drippings. When the glaze has hardened re-dip for a thicker glaze, if you prefer. If you run out of glaze just make more. French Honey Crullers taste best served on the same day. 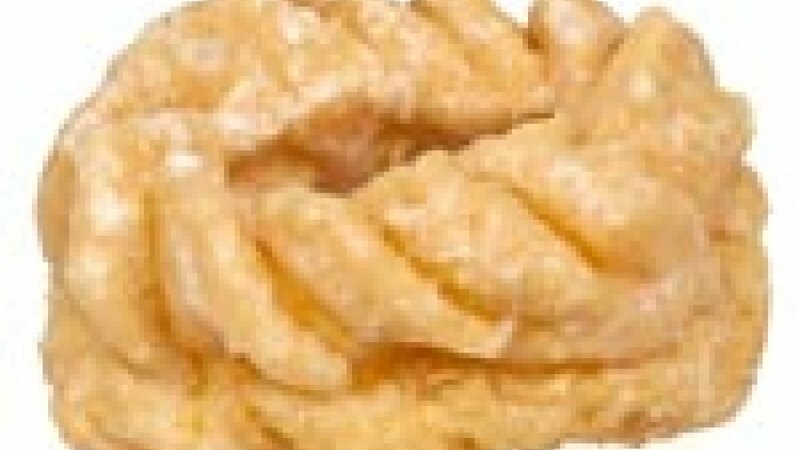 Store remaining crullers in an airtight container at room temperature for up to 3 days.